David Hulme is ESID’s Chief Executive Officer. A Professor of Development Studies at the Institute for Development Policy and Management at the University of Manchester, David is also Executive Director of the Brooks World Poverty Institute and CEO of the Brazil in Africa Research Programme. Born in Ormskirk, Liverpool, David studied economic geography in Cambridge and received a PhD in land settlement schemes and rural development from James Cook University in Queensland, Australia. 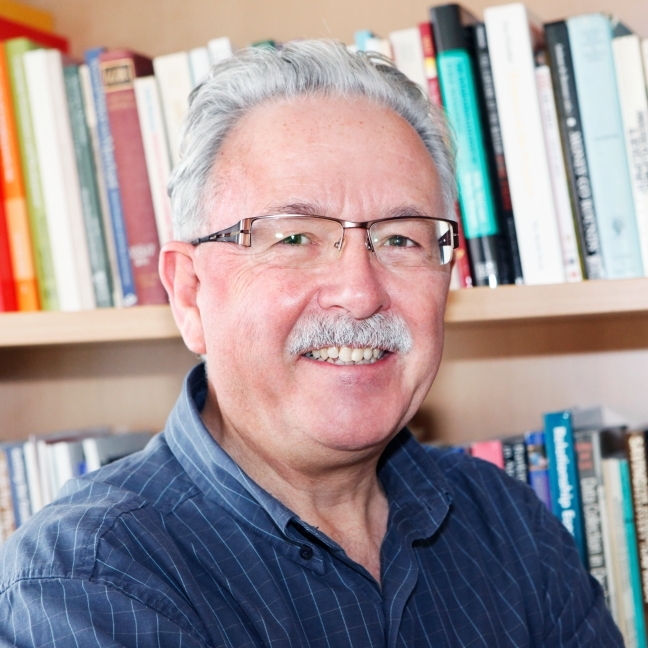 David has been working on development as an academic and consultant for over 30 years, addressing issues like environmental management, social protection, NGOs, or global poverty. At ESID David leads the project on political-economy analysis (PEA), studying how DFID and the World Bank are introducing governance considerations in their aid programmes in Ghana, Uganda and Bangladesh. In his spare time David is a consummate outdoorsman who loves mountain biking and bird watching. The main challenge is the nature of power relations in many countries – particularly developing ones – in which the competition and negotiation between small groups of elites who control the levers of power doesn’t put pressure on them to engage with society or to produce goods and services that are beneficial for the wider community. What is most exciting about the ESID projects that you are involved in? For me it is really exciting do some serious analytical work on how aid donors do governance and political-economy analysis: in a way they have always had political-economy analysis, and over the years I have done it informally for them, but recently there have been attempts to be more rigorous and – to a degree – more transparent about it, even though transparency is proving problematic. Which current case of development policy change do you find particularly interesting? Lots of fascinating things are happening, but an interesting micro development for me in the last few years is the attempt in Bangladesh – and particularly in Dhaka, one of the world’s most congested cities – to improve waste conditions, particularly in slums. There are two particularly progressive policies that are interesting: the first one is a national ban on plastic bags, which tend to block up the drains, cause floods and stop garbage collection, which has been effectively implemented partly because there is a desperate need for it, but also because Bangladeshi politicians have seen what was being done in Indian cities. The second policy is community waste collection: slum dwellers now pay a small monthly fee for community collectors to carry waste away in their bikes to municipal collection points. People thought that dirt would always be on the streets, but it is actually going away very efficiently, and the process is creating jobs for people living in extreme poverty. What is the next frontier in development research? Probably a greater focus on tax, partly for revenue raising, but also because reforming tax systems is serious social engineering: persuading elites to pay more tax, persuading businesses that if they want to remain profitable in a country – with the labour force and security that they need – they have to ensure that there is a reasonable tax intake that ensures sustainability. How can research be made relevant for practitioners and policy-makers? The first thing is to do really rigorous research, but then one has to keep asking throughout what the implications for policy are. Next you have to present your work in a way that policy-makers can understand, deal with, and accept, but also making sure that their staff can get back to the research material and be convinced that the implications are worth pursuing. It is useful for researchers to have operational experience or be familiar with the operational environment: at the level of policy change it is helpful to understand how policy circles work, and at the level of implementation how government agencies or particular bureaucracies work. Which principle or idea should definitely be included in the post-2015 agenda? The key idea that is emerging is tackling inequality: whilst poverty reduction needs to remain a major focus, it is the processes that continually promote inequality that make it very unlikely that you will achieve poverty reduction. This does not necessarily mean income inequality – what economists focus on – but the important inequalities in life, such us likelihood to die during pregnancy or have a child die during its first two years of life; it is that kind of asset inequalities that we should be focusing on.